It looks to a bright hope of a future in which all people, regardless of race, gender, religion, nationality, age, background, or disability, have equal prospects to flourish. It looks to a society in which no person is treated as inferior to another for any reason whatsoever. 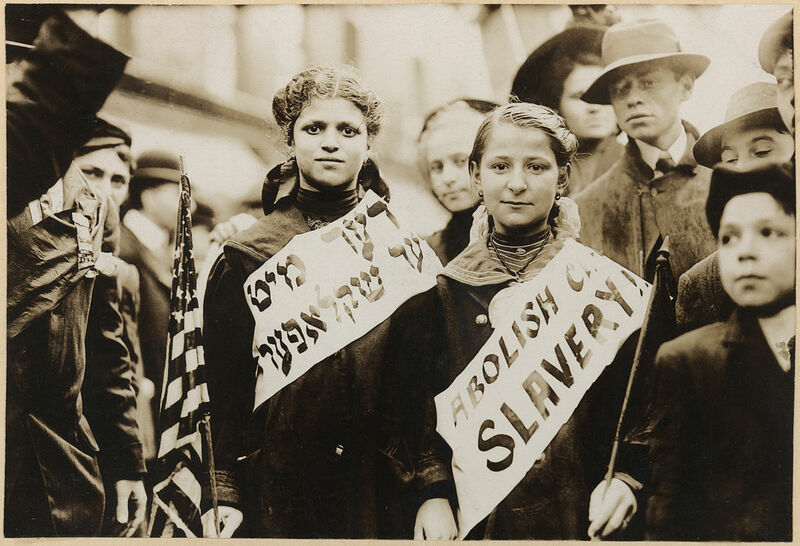 One only has to look at the fight against slavery, or “Votes for Women” movements in the last two centuries to realise that outstanding progress has been made. There is still a long a way to go, but these past successes give hope for a brighter future. In the face of such adversity, it often seems futile to try and act to make a difference. After all, what can one person really achieve? Well, if one looks at the examples of William Wilberforce, Martin Luther King and Nelson Mandela as men, and Emmeline Pankhurst, Mother Teresa and Malala Yousafzai as women, the lie that an individual cannot impact the world is exposed. All that is required is genuine compassion, and an unbridled determination. If you have a particularly specific action you feel an individual or organisation ought to take, a petition is often a very effective way of having influence. What’s more, with platforms such as Change.org (www.change.org), petitions are free to create and easy to promote via social media. Many such petitions have had actual impact, such as fighting the forced eviction of 93 people from their houses, granting legal aid for court cases, granting visas for funerals and saving Meriam, a Sudanese woman, from the death sentence due to her faith. If you’re not sure of an issue to petition about, the Leprosy Mission Ireland is presently petitioning to ensure flawed world health policy doesn’t leave thousands of people affected by leprosy forgotten, and we’re working for 100,000 signatures. Add your voice here: www.leprosy.ie/petition, and please share with people you know on Twitter and Facebook. Whether you find premade campaigns to support that encourage you to write to politicians and people of influence, such as those on Avaaz.org (www.avaaz.org), writing a letter or e-mail to people in a position of authority is a powerful, peaceful method of advocating change. It works best in numbers, so it could be attached to a petition, where someone gets the option of writing to a politician after signing, since even a simple e-mail is even more powerful than a signature alone. You could, for example, include a link on a petition on Change.org to an optional letter on a separate site or blog (see below) to write to a notable figure for your campaign. Like this blog, the Global Irishman, an powerful way to make people aware of your views and concerns about an issue of social justice is to blog about it. Choose a platform such as Blogger, which is completely free to use, and you can easily edit the design and customise the title, without any past experience in web design. Write passionate, original and succinct posts explaining why the issue is so important, perhaps a few a week, and soon you’ll be reaching many as views snowball. Tweet about the issue and your posts, and share them on Facebook. A regular effort for a few weeks, with some good content, means you could reach thousands and make a marked difference to these people’s views on the issue. Give people a petition to sign, or action to take, if you’d like to see concrete results. If you don’t have the time to start your own blog, try promoting someone else’s that you believe in by commenting and sharing their posts. The wonderful thing about the internet is that petitions, e-mail campaigns, and blogs, are completely free to set up, and so are open to everyone. They offer endless opportunities for creativity, or to simply get involved in the work of others if you’ve got less time to spare. If you’re interested in the work of the Leprosy Mission Ireland, for example, try taking a look at www.leprosy.ie. On this World Social Justice day, what will you do to make a real difference to an issue you feel passionate about? There are many guides online how to set this sort of thing up, for free, on your own website, by editing the code of the webpage (HTML). There’s usually an option to do this on Blogger on the top left as you’re editing a post – simply click on, ‘HTML’ to get to the code. See http://www.techrepublic.com/article/set-up-an-html-mailto-form-without-a-back-end-script/ for a straightforward example of a form that sends a message to an e-mail address of your choice. A quarter of a million additional deaths are predicted every year as a result of its effects. Can we stand back and do nothing when we are part of both the cause and the solution?